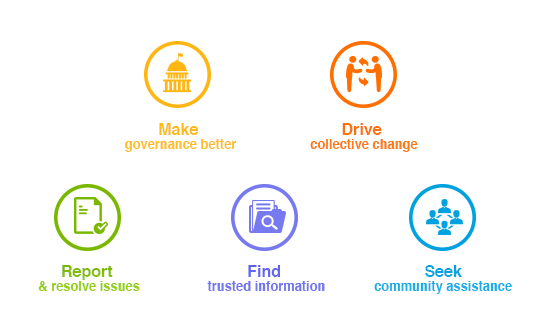 March 23, 2018, New Delhi: Citizen engagement platform LocalCircles had done a study in 2017, to make social media platforms responsible for their actions. The focus of this study was that social media platforms in India are not covered by any regulations. In light of the data breach admission by the largest social media platform Facebook we are again highlighting the need for regulations not just on data but also on content. While the data leak is in the news the bigger challenge is the misuse of data and content on Facebook to influence voters in the last elections in US. Foreign powers like Russia used the platform to polarize people on important issues. While President Trump’s campaign team allegedly used stolen data to drive its own digital campaign. This has important repercussion for India which goes into a general election next year. The misuse of social media platforms during election happens through using fake content to micro target voters and influence them into voting for a particular candidate. Social media sites which were earlier known for hate/ fake content have now found a new use manipulating elections. And this manipulation is being done by foreign countries. Till last year the discussion was on hate content, abuse, troll and harassment on social media and an urgent need to do something about it. As a social media platform willing to follow government regulations LocalCircles had written to the government for the need for regulations. Now, fake content combined with psychological profile of users has become a weapon for mass destructions for democracy. 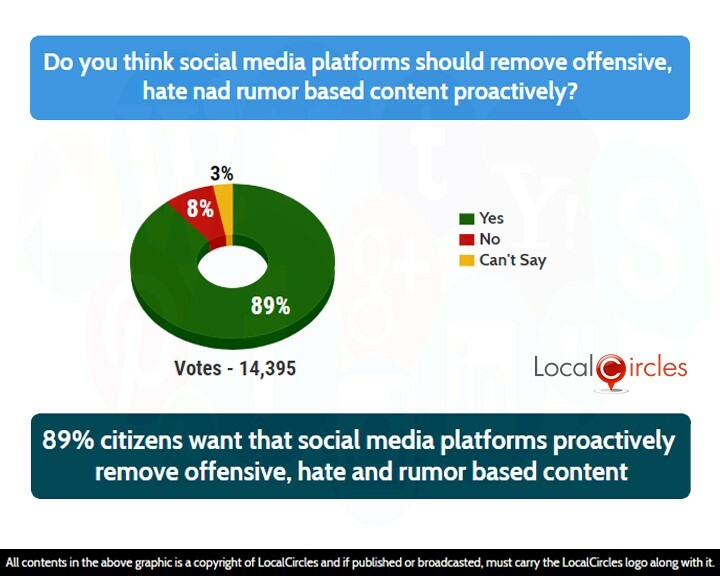 When asked if the social media platforms should remove offensive, hate and rumour based content pro-actively, a huge 89% answered in an affirmative. Meagre 8% citizens disagreed with it and 5% chose not to answer. 14,395 responses were received in this poll. Recently, a regulation was signed upon in the European Union by major social media platforms, which require them to proactively monitor social media and remove any hate or offensive content within 24 hours of posting. 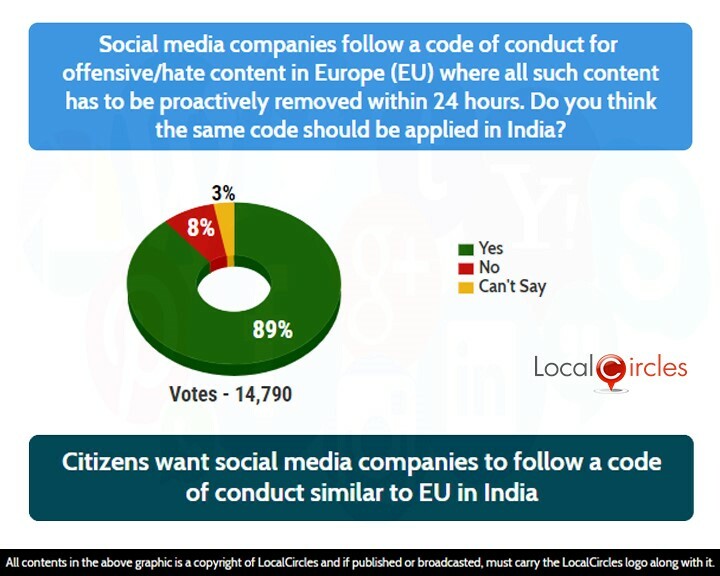 In a related poll in which more than 14,000 citizens voted, 89% citizens said that there was definitely a need for a similar regulation in India to make social media a safer and more responsible space. 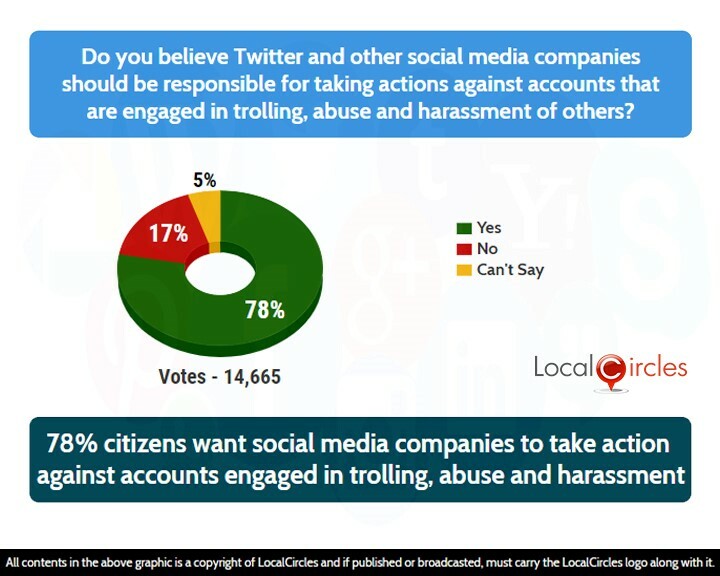 In the third poll, when asked if platforms like Twitter and Facebook should be responsible for taking action against accounts that are engaged in trolling, abuse and harassment of others, 78% citizens agreed with it while 17% said it should not be done.